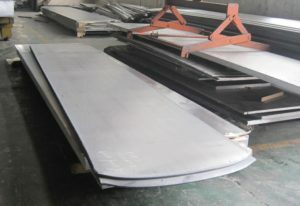 5083 Marine aluminum plate with low density, high strength can reduce the application of heavy ship advantage. The low density, high strength, high rigidity and corrosion resistance of aluminum make the aluminum ship 20% lighter in weight compared to ships made of steel or other alloy materials. This can reduce ship weight and reduce energy consumption. 5083 Marine aluminum plate also has application advantages Corrosion resistance, durable, economic and environmental protection. haomei 5083 marine aluminum alloy of high toughness, corrosion resistance and weldability, for the strict production of the ship provides the possibility. At the same time, the haomei board can be more resistant to the ocean climate in the atmosphere, steam, water and other media corrosion, durable, more economical. This entry was posted in Aluminum Sheet and tagged 5083 marine aluminum plate. Bookmark the permalink.